On behalf of the Maine Oxy Team, we would like to thank you for your contribution and participation in the 6th Annual Charity Golf Tournament held on September 15th at Fox Ridge Golf Club in Auburn. 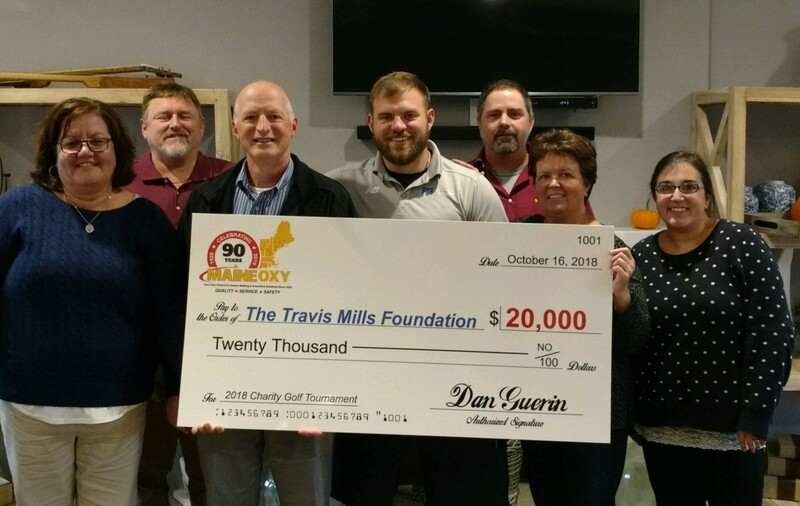 With your generosity, we set a fundraising record, donating $20,000 for the Travis Mills Foundation! Without your contribution, this year’s tournament wouldn’t have been the success that it was. The money raised will send 20 “Recalibrated Veterans” for a week-long vacation to the Foundation’s Retreat in Rome, Maine. To date, the annual Maine Oxy Charity Golf Tournament has raised $86,500 for local charities. Plans for next year’s tournament are already underway. Be on the lookout for event information in the coming months. Thank you again for your kind and generous contributions and we look forward to your support next year!